Wedding bells will soon be ringing for Mandy Moore! The actress is engaged to her boyfriend, Taylor Goldsmith. He’s a musician with the band Dawes, but his net worth hasn’t been calculated. After moving us with her emotional performance on hit TV drama, This Is Us, Mandy Moore is in the spotlight for some good news. The multi-talented actress is engaged to her boyfriend, Taylor Goldsmith. Mandy Moore’s fiancé may not be as famous as her, but he’s a very cool guy. Just how cool and awesome is the soon-to-be Mr. Mandy Moore? Find out in our Taylor Goldsmith wiki. 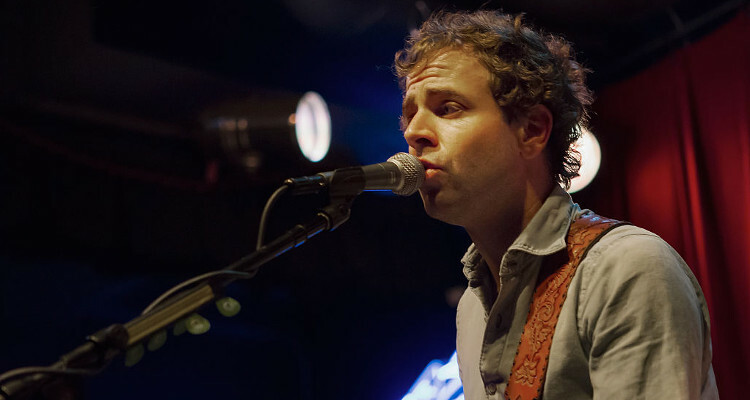 Taylor Goldsmith is the frontman of the four-piece folk rock band, Dawes. While he sings and plays guitar, his brother Griffin Goldsmith plays the drums. Wylie Gelber on the bass and Lee Pardini on the keyboard complete Dawes. They debuted in 2009 and have since released five albums. Their latest, We’re All Gonna Die, was released a year ago and peaked at No. 1 on the U.S. Folk Charts. They toured and promoted their music but their most recognizable venture is touring with the one and only Bob Dylan. They joined him on his U.S. College Tour in 2013, when their album Stories Don’t End, sold 65,000 copies. Goldsmith admitted that opening for a great singer-songwriter such as Dylan was a challenge. They had to prove themselves worthy as an opening act to Dylan’s fans. Their goal was to have fans love Dawes as much as they love Bob Dylan. Being in the folk rock genre, Goldsmith knows they aren’t a “cool band.” But it’s advantageous to them as in, even after five albums, they are perceived as new. One of their music videos, “Roll with the Punches” stars Goldsmith’s now-fiancée, Mandy Moore. They may be having a literal breakup in the video, but in reality, this is one happy couple. The group’s collective earnings and Goldsmith’s net worth haven’t been calculated. Mandy Moore may be $10.0 million rich but Goldsmith is just as successful. He’s the main songwriter for Dawes and confessed most of his lyrics are autobiographical. Though Dawes isn’t in need of financial assistance, they use a unique method to connect with their fans. In 2015, when they released their album, All Your Favorite Bands, the quartet collaborated with Pledge Music to get their fans involved in the production process and make them more aware of their upcoming music. Pledge Music lets artist reach out to their fans directly and Dawes used it for crowdfunding their album. They sold album experiences like handwritten lyrics, drum heads, a guitar played by Goldsmith, and a few other merchandise for fans who pre-ordered the album to have access to exclusive videos, tracks, photos, and more. While Moore has been on TV since she was in her teens, her real-life leading man has had his fair share of on-screen time. Dawes made its television debut in 2010, performing on The Late Late Show with Craig Ferguson. Moore is also not the only one with an emotional drama acting credit to her name. Goldsmith, with his band members, made a cameo as themselves in the NBC drama, Parenthood. They played prospective clients of the Braverman brothers, Adam and Crosby, played by Peter Krause and Dax Shepard respectively. Parenthood and This Is Us are often compared to each other given that their storylines have us dabbing tissues on our eyes. Since he’s proved that he can do some serious television, can we hope to see Goldsmith on This Is Us soon? The Princess Diaries starlet dated several artists during her initial career. Her first serious relationship was with Wilmer Valderrama. How serious? He got a little TMI with details about their relationship. She dated MTV VJ Brian McFayden and multi-talented TV host Billy Crawford. She was also rumored to be dating her Walk to Remember co-star, Shane West. In 2002-04, she dated Andy Roddick and their cuteness in interviews earned them the couple name “Mandy and Andy” in the media. Though they dated for a short while, they remain friends to this day. She dated DJ Adam Goldstein for a brief period, and paid him a visit in the hospital after the horrific plane crash he miraculously survived. After his death in 2009, she spoke fondly of him in several interviews. She also dated the singer Greg Laswell, and UFC fighter Georges St. Pierre. Her last known relationship before Goldsmith was with musician, Ryan Adams. They appeared to be a rosy couple until they announced they were separated and filed for divorce. While Goldsmith hasn’t overtly proclaimed he’s in a relationship with Moore, they have shown their love on Instagram. They have been together since 2015, a year before her divorce from Ryan Adams was finalized. They didn’t have to say it when their pictures together are all over Moore’s Instagram. They celebrated Goldsmith’s birthday together and their two-year anniversary on Instagram. The 33-year-old actress even hinted she’d like to have kids with her beau after playing a pregnant woman on This Is Us. With a wedding in the horizon, we can hope they’d have a brood of their own soon. The best 2 years. Never not smiling with you, T. ❤️??? ?